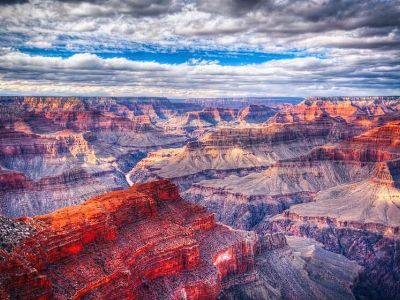 These Grand Canyon vacation packages and multi-day bus tours depart from Las Vegas and include a trip to the Grand Canyon and to one or more of other famous parks and cities - Bryce Canyon, Hollywood & Universal Studios, Salt Lake City, Yellowstone and more! If you are searching for an exciting Grand Canyon vacation package that offers several options for fun as well as lodging then the Western Ranch Overnight Experience Cabin or Camp Out Tour is perfect. Your adventure begins in Las Vegas where you can either drive through Mojave Desert or take a comfortable coach to the Grand Canyon Ranch located on the West Rim of Grand Canyon National Park. Once here at the ranch you can decide if you want to take a horseback ride or wagon ride out to where you will spend the night. You can add-on a thrilling helicopter ride over the canyon if you are the adventurous type at heart. While at the park you will also have time to explore lookouts with panoramic views and relax on the canyon rim. 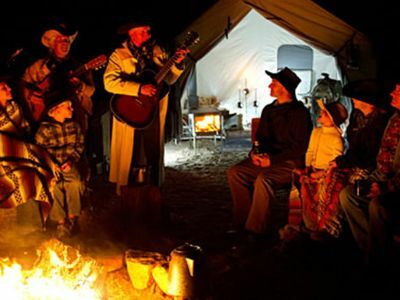 At night you will be treated to a traditional cowboy cookout around a campfire with all the goodies including s’mores. While relaxing at night you can listen to stories about the canyon and music from the rolling cow pokes before you sack down for the night in a tent or a cabin. The next morning you will be treated to a complete breakfast before you saddle up again to ride back to the ranch where you will then be transported or drive back to Las Vegas where your excursion concludes. When you want to conquer the Colorado River and view the Grand Canyon from a fantastic vantage point while raising your adrenaline levels then an ideal Grand Canyon vacation package for you is the 2-Day White Water Rafting through the Grand Canyon from Las Vegas Tour. Your white water adventure starts when you leave Las Vegas and drive over Hoover Dam for a quick photo op before continuing on the famous Route 66 to Peach Springs, Arizona. Along the way you will stop at the Grand Canyon Caverns in Kingman, Arizona where you can indulge in breakfast at your own cost. Now you will board an off-road vehicle that will take you to the floor of the Grand Canyon where you will meet your river guide and learn about safety as well as your camping gear. 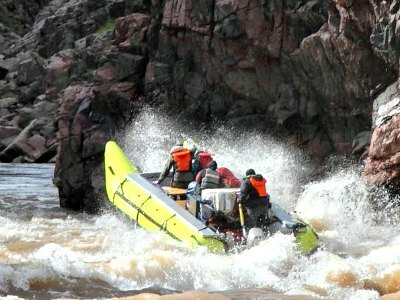 Once on the Colorado River you will paddle through impressive white waves while gazing at the unique scenery that can only be found at the Grand Canyon. Once you reach Spencer Canyon you will setup camp for the night and enjoy a home-cooked under the stars. The second day you will awake and indulge in breakfast then head out on the river for a few more hours of challenging white water thrills. After lunch and a short hike you continue your adventure on the Colorado River until you pullout of the water at Pierce Ferry. Your journey concludes when you arrive back in Las Vegas via a comfortable coach drive. 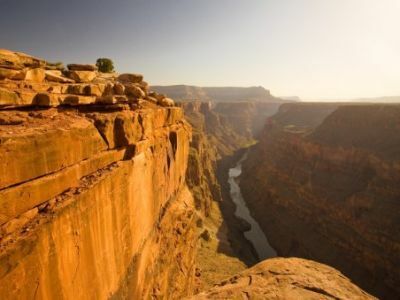 A superb Grand Canyon vacation package that offers a choice of camping or lodging while you are visiting the Seventh Natural Wonder of the World is the 2-Day Grand Canyon Tour from Las Vegas. Your adventure begins when you depart Las Vegas stopping for photographs at Hoover Dam and then continue your journey along Route 66 until you reach Williams, Arizona which is the home of the Grand Canyon Railway. After a short break in Williams you will be headed to the Grand Canyon where you will have time to hike, view the IMAX movie or just take a leisurely stroll along the canyon rim. Now you will head to Tusayan, Arizona for the evening to rest your head in a hotel or at a campsite. The second and final day of your excursion takes you to back to the Grand Canyon so that you can continue your explorations before you head back to Las Vegas where the tour concludes. One of the easiest and eventful Grand Canyon vacation packages that highlight the beauty of the canyon as well as the American Southwest is the 2-Day Grand Canyon, Antelope Canyon and Lake Powell Tour from Las Vegas. 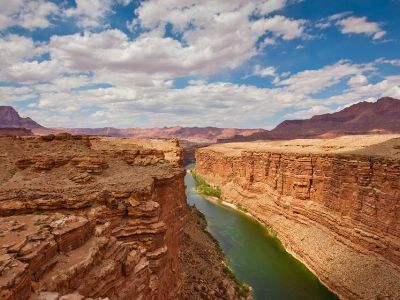 On your journey you will first travel from Las Vegas to the Grand Canyon where you can gaze at the natural beauty of this incredible canyon cut by the Colorado River. 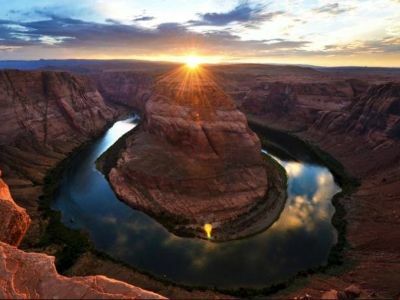 After you spend quality time in the park you will drive to the photogenic Horseshoe Bend of the Colorado River and Page, Arizona to rest for the evening. 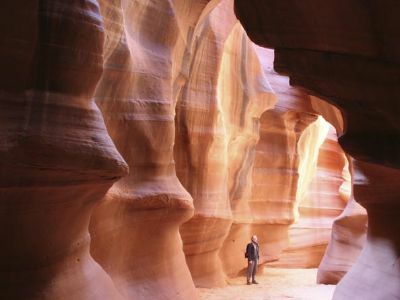 The final day of your excursion leaves Page and will take you to Lake Powell for short cruise on the lake before heading to Antelope Canyon to see ancient petroglyphs. Your tour concludes when you arrive back to Las Vegas. 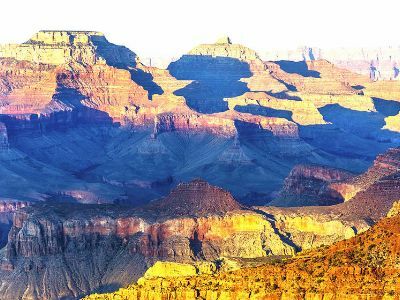 When you are interested in spending more time at the Seventh Natural Wonder of the World while you are in Las Vegas, then you should take the 2-Day Grand Canyon National Park Lodging Tour. This excellent Grand Canyon vacation package leaves from Las Vegas when you will be transported to Hoover Dam for a tour of an engineering marvel before you reach the South Rim of the Grand Canyon for an excellent afternoon of exploring. When you wake up in Tusayan, Arizona you will have the whole morning to go on a nature hike, take an add-on helicopter tour or just gaze at the canyon and the mighty Colorado River. Your adventure concludes when you arrive back in Las Vegas where you can start a new chapter of your vacation. If you are interested in traveling to three states to visit some of the most impressive natural landscape in the world, then a great Grand Canyon vacation package is the 2-Day National Parks Nature’s Beauty Tour: Grand Canyon South Rim, Antelope Canyon and Lake Powell. Your journey begins when you depart Las Vegas and travel to South Rim of Grand Canyon National Park. Once at the park you can gaze at Colorado River, view the incredible rock formations and walk through the visitor’s center to learn more about the history of the area before you bed down for the night in one of three places which are Page or Flagstaff, Arizona as well as Kanab, Utah. Your final day of the excursion takes you back to Las Vegas after you visit stellar places such as the photogenic Horseshoe Bend of the Colorado River, Upper Antelope Canyon and Lake Powell. 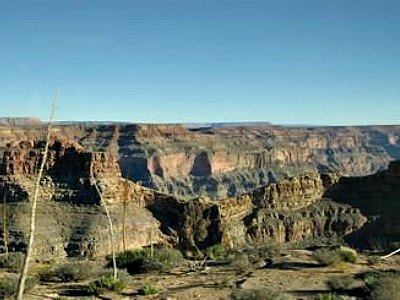 The first day of this Grand Canyon vacation package starts with a trip from Las Vegas to the West Rim of the Grand Canyon. The tour starts with a visit to the Eagle Point to enjoy an Indian cultural show. Optional tour of the famous Skywalk, boat ride and helicopter ride are also offered. 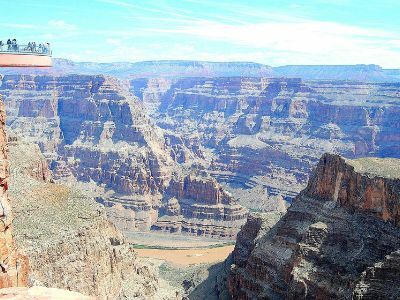 Visitors will also be able to enjoy a 360 degree view of the Grand Canyon from the Guano Point. The second day begins with a wagon ride around the canyon with a stunt show. The tour then continues on to Las Vegas for a night on the Strip. On the last day of the tour, guests will be able to visit the Botanical Cactus Garden, Tanger Outlet Center and the M&M Chocolate Factory on the way of Los Angeles. 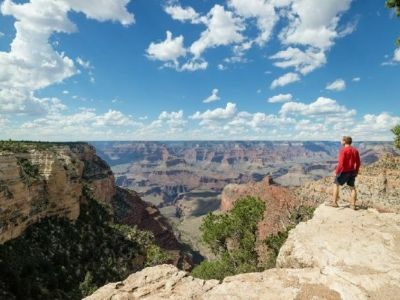 The 3-Day National Parks Tour from Las Vegas: Grand Canyon, Zion, Bryce Canyon, Antelope Canyon, Lake Powell and Monument Valley during the Summer is a fantastic Grand Canyon vacation package that has you visiting numerous national parks in the American Southwest. Your tour starts when you depart Las Vegas for Bryce Canyon National Park. While you travel you will stop at Zion National Park to view the surreal sandstone scenery before resting for the night at Bryce Canyon National Park where you can view the sunset over the unique rock formations in the park. 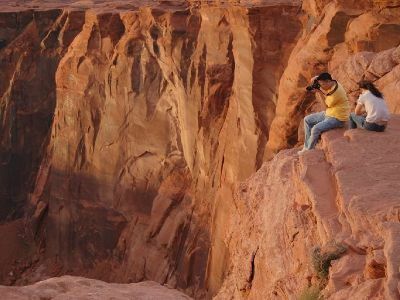 Day 2 has you traveling to the stunning formations in Monument Valley as well as witness the immensity of Lake Powell and the petroglyphs within Antelope Canyon before spend in the night in Kayenta, Arizona. The final day of your excursion you will travel through the Painted Desert on your way to the Grand Canyon. Here you will have plenty of time to experience the grandeur of the canyon before you drive back to Las Vegas where your tour concludes. A perfect Grand Canyon vacation package that allows for time in Las Vegas and includes a trip to the Grand Canyon is the 3-Day Grand Canyon West (Skywalk)/Antelope Canyon Bus Tour: Hoover Dam, Chocolate Factory and Tanger Outlets. This adventure begins with two nights in Las Vegas where you can visit the Strip, talk with Elvis and even see a show during your free time. 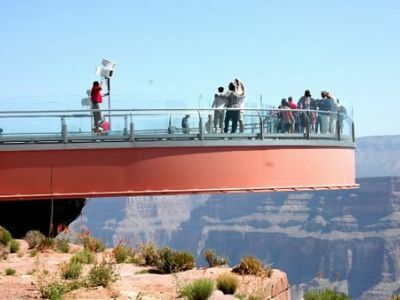 The second day you take a side trip to Hoover Dam and the West Rim of Grand Canyon where you can walk across the glass bridge known as Skywalk. Your day continues as you travel to Antelope Canyon and the iconic Horseshoe Bend of the Colorado River before you arrive back in Las Vegas for another evening of fun. Your third and final day has you departing for Los Angeles with stops along the way at the Ethel M Chocolate Factory and the Tanger Outlet Center. The All Inclusive 3-Day Grand Canyon, Bryce Canyon and Zion Bus Tour from Las Vegas is an exciting Grand Canyon vacation package that takes you to three of the most stellar national parks of the American Southwest. Your journey begins when you leave Las Vegas for Page, Arizona where you will spend the night. Along the way you will visit the South Rim of the Grand Canyon to view the most impressive canyon in the whole world. From here you travel to the East Rim for more panoramic vistas and shopping at unique Native American Markets. 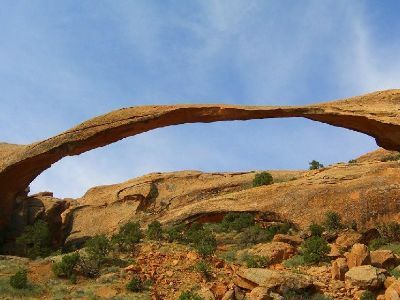 When you awake in Page you set-out for Kanab or Cedar City, Utah where you will spend the second night. During the second day you will view massive Lake Powell while cruising on a boat and travel to Bryce Canyon National Park. Here you can gaze out over the hoodoos a unique rock formation only found at the park. 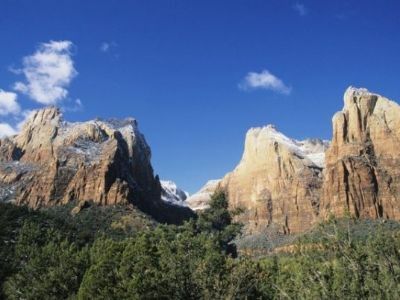 Your third and final day of the excursion has you stopping at Zion National Park to see the Emerald Pools, Great White Throne and Weeping Rock before you arrive back in Las Vegas where your tour concludes. An engaging Grand Canyon vacation package that takes you through the stunning scenery of the American Southwest is the 3-Day Majestic Grand Canyon Tour from Las Vegas with Bryce Canyon and Zion. Your adventure begins when you travel from Las Vegas to Zion National Park where you can view the incredible sandstone cliffs and Angel’s Landing. From here you will go to Bryce Canyon National Park to walk through the hoodoos before making your way to Page, Arizona to sleep for the next two nights. During the second day you will tour Antelope Canyon and take a 4x4 off-road ride through the stunning scenery of the Navajo Indian Reservation which includes Monument Valley. The final day of your excursion you will travel from Page to Grand Canyon National Park where you will have ample time to explore the Seventh Wonder of the World. Your tour concludes when you arrive back in Las Vegas on that same day. If you are looking for an exciting Grand Canyon vacation package that highlights the Seventh Natural Wonder of the World, then the 3-Day Grand Canyon South Rim/Antelope Canyon Bus Tour: Chocolate Factory and Tanger Outlets is an ideal choice. Your first night will be spent in Las Vegas where you will have time to explore the Strip, catch one of the many entertaining shows or walk around the Fremont Street Experience. Day 2 you head to Hoover Dam and the South Rim of the Grand Canyon. 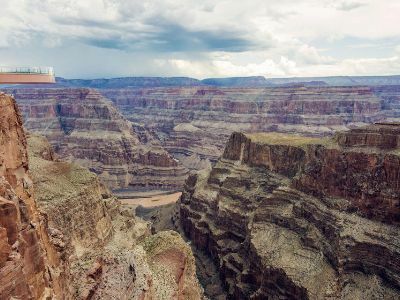 At the Grand Canyon you will be given ample time to hike, take a walk through the visitor’s center and gaze out over the canyon at the Colorado River before you depart for Antelope Canyon as well as the iconic Horseshoe Bend of the Colorado River for numerous photographs. You will then travel back to Las Vegas for to rest your head or have more fun. The final day of your excursion you can travel to Los Angeles where your tour concludes via the Ethel M Chocolate Factory and the Tanger Outlet Center. An exciting way to see three of the stellar national parks within the American Southwest as well as spend time in Las Vegas is the 3-Day Las Vegas, Bryce Canyon, Antelope Canyon, Lake Powell and Grand Canyon West Rim Tour. This Grand Canyon vacation package begins in Las Vegas and has you traveling through Zion National Park where you can witness the Weeping Rock, the Great White Throne and the Virgin River. From here you will travel to Bryce Canyon National Park where you can hike among the unique rock formations before resting your head for the evening in Page, Arizona. Day 2 you head to Lake Powell for a short cruise of the lake and you can take a nature hike in Antelope Canyon on your way back to Las Vegas where you will spend the night. The final day of your excursion takes you to the West Rim of the Grand Canyon where you can decide on a multitude of add-on options from the Skywalk to a helicopter flight. You return the same day to Las Vegas where your tour concludes. When you want to gaze at some of the most intriguing natural landscapes in the world then a superb Grand Canyon vacation package to take is the Grand Canyon, Monument Valley and Zion 3-Day Tour from Las Vegas. Your adventure begins when you travel from Las Vegas to the South Rim of the Grand Canyon to spend the night. During the day at the national park you can decide on numerous add-on adventures from a nature hike to a helicopter ride to just relaxing in the visitor’s center. Day 2 has you going to staying the evening at Lake Powell in Page, Arizona with side stops during the day in the Painted Desert ad Monument Valley where you will take a 4x4 excursion of the Navajo Indian Reservation. Your final day of this excursion gives you photo opportunities at Lake Powell and the iconic Horseshoe Bend of the Colorado River as well as plenty of time in Zion National Park where you can see the canyons cut by the Virgin River before arriving back in Las Vegas where your tour concludes. Added bonuses on this tour include selected meals. This 4 day Grand Canyon vacation package starts in Las Vegas where guests will be provided accommodations in the Circus Circus or other similar hotels. The second day of the tour takes you to visit Grand Canyon West, one of the most spectacular natural attractions in the world. An optional Skywalk visit is also offered. Later, the tour moves on to explore the Hoover Dam, one of the country's greatest industrial achievements. On the third day of the tour, you'll have the entire day to explore Las Vegas on your own. On the last day of the tour, you'll depart from the hotel to visit the Botanical Cactus Garden, Tanger Outlet Center and the M&M Chocolate Factory on the way of Los Angeles. This 4 day Grand Canyon vacation package starts in Las Vegas where guests will be provided accommodations in the Circus Circus or other similar hotels. Day 2 of the tour begins with a visit to the Hoover Dam where you'll have time to visit the dam overlooking Lake Mead. From Hoover Dam you can choose to visit Grand Canyon South Rim or West Rim. The next day, you'll depart from the city for a trip to the Botanical Cactus Garden and the M&M Chocolate Factory. Lunch is included. On the way to Los Angeles, you'll be able to spend some time at the Tanger Outlet Center. In Los Angeles, you can choose one of four tour visit options: Disneyland, Palm Springs Outlet, City Tour or Universal Studios Hollywood. An ideal Grand Canyon vacation package that starts in Las Vegas or Los Angeles and takes you to stellar places with plenty of time in Sin City is the 4-Day Grand Canyon West (Skywalk) Bus Tour: Las Vegas and Antelope Canyon. On this exciting excursion you will spend three nights in Las Vegas which will give you plenty of time to explore Sin City from the interesting museums to the Strip to the Fremont Street Experience to watching one of the many live performances in the Entertainment Capital of the World. 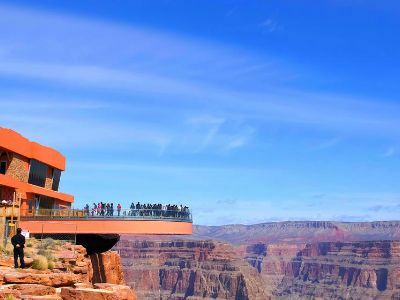 The second day of your adventure includes a trip to Hoover Dam and the West Rim of the Grand Canyon where you can walk across the intriguing glass bridge known as Skywalk. Day 3 has you traveling to Antelope Canyon as well as the picturesque Horseshoe Bend of the Colorado River before heading back to Las Vegas to sleep. The fourth and final day of your tour can be spent in Las Vegas or you can continue to Los Angeles via the Ethel M Chocolate Factory and the Tanger Outlet Center. 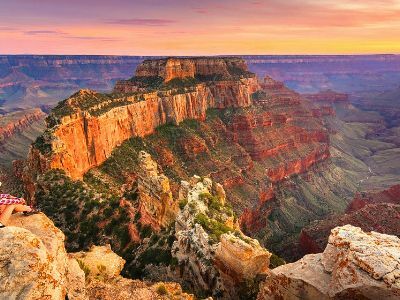 A unique Grand Canyon vacation package that takes you to some of the most interesting landscape in the American Southwest with plenty of time in Las Vegas is the 4-Day Antelope Canyon, Grand Canyon South and Lake Powell Tour. On this excursion you will spend the first night in Las Vegas where you can see a show, walk the Strip or just relax. Day 2 you will travel to the South Rim of the Grand Canyon. Here you will have lots of time to explore the national park, walk through the visitor’s center or take a nature hike before continuing your journey to Page/Kanab or Flagstaff where you will rest for the evening. The third of your tour includes stops at the famous Horseshoe Bend of the Colorado River, Lake Powell and you will view petroglyphs in Antelope Canyon on the way to spending the night in Sin City. The final day of your excursion is spent in Las Vegas where you can explore more of the city or start a new adventure to someplace else. 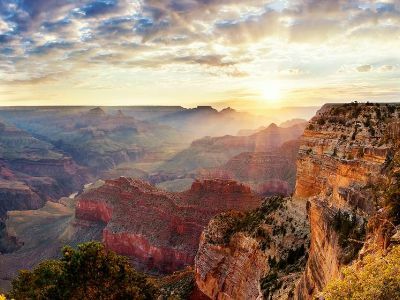 A perfect Grand Canyon vacation package that boasts a trip to one of the Seven Natural Wonders of the World is the 4-Day Grand Canyon Bus Tour from Las Vegas. Your excursion includes three nights in Las Vegas where you will have plenty of time to venture around Sin City and visit places like the Fremont Street Experience, the Strip and you can schedule to see one of the many shows in the Entertainment Capital of the World. During the second day you will be transported to Hoover Dam and the South Rim of the Grand Canyon. Once at the national park you will have sufficient time to explore the natural landscape as well as learn about the history and culture of the Grand Canyon. Day 3 has you wandering the streets of Las Vegas with time to visit the city and the numerous attractions such as the Gold and Silver Pawn Shop, the Mob Museum or you can visit the Arts District. The final day you wake up in Las Vegas where your tour concludes or you can travel to Los Angeles with stops at the Ethel M Chocolate Factory and the Tanger Outlet Center. 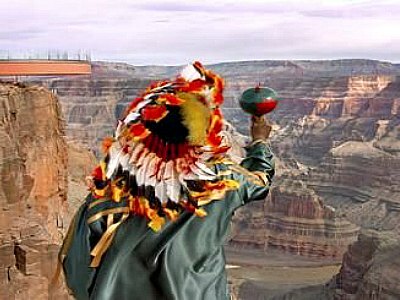 This 5 day Grand Canyon vacation package offers a lot of choices and therefore allows you to customize the tour. The trip begins in Las Vegas. Visit the Hoover Dam and choose from Grand Canyon West Rim or South Rim. The next day, you'll depart from the city to visit nearby attractions like the Botanical Cactus Garden, Tanger Outlet Center and the M&M Chocolate Factory. On Day 4 of the tour, you'll be able to choose from 6 options: Disneyland, San Diego day tour, SeaWorld San Diego, Palm Springs Outlet, Los Angeles Day Tour or Universal Studios Hollywood. The last day of the tour you'll again be able to choose another option from the same 6 destinations. This 5 day Grand Canyon vacation package begins in Las Vegas. Visit the Hoover Dam and choose from Grand Canyon West Rim or South Rim. On Day 3, you'll head to Los Angeles where you'll be able to visit attractions like the Kodak Theater, Mann's Chinese Theater, Hollywood and the Hollywood Boulevard. The next day, choose from a full day trip to San Diego or Disneyland. The San Diego tour includes a visit to the U.S Naval Compound, Hotel del Coronado, Old Town and Balboa Park. On the last day of the tour, visit Universal Studios for a studio tour and the rides. This 5 day Grand Canyon vacation package begins in Las Vegas and includes a visit to the Hoover Dam. You can choose to visit either the West Rim or South Rim of the Grand Canyon. Departing from Las Vegas, you'll also be able to visit the Desert Cactus Garden, Lenwood factory outlet mall and the Chocolate Factory. Head to the Universal Studios the next day (theme park entrance ticket not included). Universal Studios has 48 different studios and plenty of attractions. On the last day of the tour, you'll visit the happiest place on the planet, Disneyland (theme park entrance ticket not included). Start your 5 day Grand Canyon vacation package in Las Vegas from where you'll drive out to see the Hoover Dam. 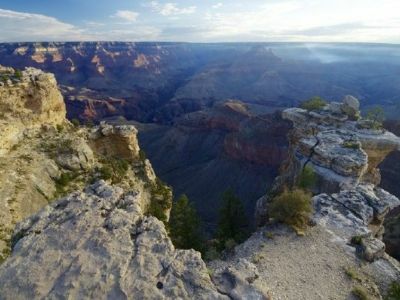 The tour also offers you a choice between Grand Canyon West Rim or South Rim. The next day, visit nearby attractions like the Botanical Cactus Garden and the M&M Chocolate Factory. Lunch is included. On the way to Los Angeles, you'll be able to spend some time at the Tanger Outlet Center. The tour also allows you to choose one of 6 different attractions: Disneyland, San Diego day tour, SeaWorld San Diego, Palm Springs Outlet, Los Angeles Day Tour or Universal Studios Hollywood. On the first day of this 5 day Grand Canyon vacation package, you'll be transferred from Las Vegas to Grand Canyon West, where you'll be staying overnight. Depart from the Grand Canyon the next day to travel back to Las Vegas, where you'll be staying at a hotel on the strip. On day 3 of the tour, you'll be able to visit attractions like the Chocolate Factory, Lenwood factory outlet and the Desert Cactus Garden on your way to Los Angeles. You'll also have an entire day to visit the Universal Studios. Travel to San Diego and spend the entire day at the San Diego Sea World. This 5 day Grand Canyon vacation package from Las Vegas includes a trip to Yosemite National Park and San Francisco parks as well as many attractions. Start in Las Vegas and visit the Hoover Dam. The tour also offers you a choice between Grand Canyon West Rim or South Rim. The next day, visit the Tulare Outlet Center for shopping before heading to Fresno. After an overnight stay, head to the Yosemite National Park with highlights like the Yosemite Falls, El Captain and Tunnel Views. The tour also includes a city tour of San Francisco with attractions like Golden Gate Bridge, Fisherman's Wharf, Chinatown and much more. If you are searching for an exciting Grand Canyon vacation package that includes stops in Las Vegas and two other incredible national parks then the 5-Day Grand Canyon West Bus Tour: Horseshoe Bend, Zion National Park, Bryce Canyon and Las Vegas is perfect. Your adventure starts when you travel from Las Vegas to St. George, Utah where you will spend your first night. The second day of this tour has you going to Lake Powell, Antelope Canyon, the picturesque Horseshoe Bend of the Colorado River and you spend the evening at Bryce Canyon National Park. Day 3 you will explore the hoodoos of Bryce Canyon and then head to view the unique landscape at Zion National Park before resting your head in Las Vegas where you will have time to enjoy the Strip, relax or venture out for a night of fun. The fourth day takes you on a day trip to Hoover Dam and the West Rim of the Grand Canyon. During the evening you can catch a show in Las Vegas, walk along the Fremont Street Experience or hit the Strip before bedding down. The final day of your tour is in Las Vegas where you can explore museums, talk to Elvis or ride the High Roller. This comprehensive 6 day Grand Canyon vacation package in Las Vegas and includes a visit to the Hoover Dam. You can choose to visit either the West Rim or South Rim of the Grand Canyon. Departing from Las Vegas, you'll also be able to visit the Botanical Cactus Garden, Tanger Outlet Center and the M&M Chocolate Factory. The tour also includes a stop in Santa Barbara. A visit and lunch in Solvang is included for guests to enjoy the town's Danish architecture. The tour also includes a visit to some of the IT headquarters in Silicon Valley and Stanford University. In San Francisco, visit attractions like the Fisherman's Wharf, Palace of Fine Arts and Golden Gate Bridge. 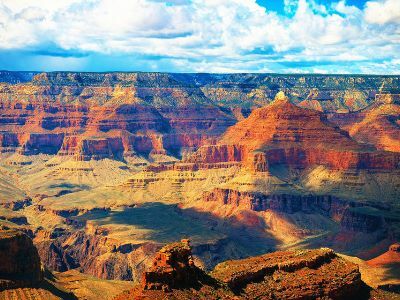 This super value 6 day Grand Canyon vacation package starts in Las Vegas from where you'll drive out to see the Hoover Dam. 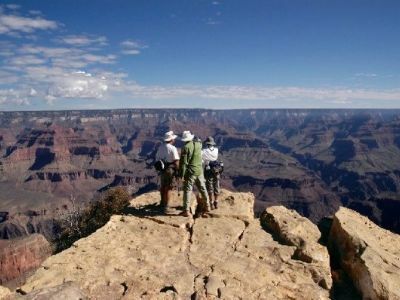 The tour also offers you a choice between Grand Canyon West Rim or South Rim. The next day, visit nearby attractions like the Botanical Cactus Garden, Tanger Outlet Center and the M&M Chocolate Factory. The tour offers 6 different tour options from which you can select one each day to visit for 3 of the tour days: Disneyland, San Diego day tour, SeaWorld San Diego, Palm Springs Outlet, Los Angeles Day Tour or Universal Studios Hollywood. A complimentary airport drop service in Los Angeles is also included. This is a 6 day Grand Canyon vacation package that starts with an overnight stay in Las Vegas. The next day, you'll visit the Hoover dam and the Grand Canyon. Choose from the West Rim and South Rim of Grand Canyon for your visit. You'll also have an entire day to explore Las Vegas at your own leisure on this tour. Before heading to Los Angeles, you'll be able to visit three attractions on your way: Botanical Cactus Garden, Tanger Outlet Center and the M&M Chocolate Factory. For the last 2 days of the tour, you'll have the option to visit two of the following attractions, one on each day: Disneyland, San Diego day tour, SeaWorld San Diego, Palm Springs Outlet, Los Angeles Day Tour or Universal Studios Hollywood. Check-in to a hotel in Las Vegas on the first day of this multi-day Grand Canyon vacation package. On the second day, you'll drive to Hoover Dam for a tour. Head to Grand Canyon West Rim to take in the beautiful views. Optional visit to Skywalk also offered. The next day, visit the Ethel M. Chocolate Factory and the Cactus Garden near Las Vegas. Before heading to Los Angeles, you'll also be able to visit the Factory Outlets. Choose from California Adventure or Disneyland. You'll also be able to visit the Sea World in San Diego. On the last day of the tour, visit the Mann's Chinese Theater, Walk of Fame and the famous Universal Studios. When you want to mix and match an adventure to the West Coast, Las Vegas and the Grand Canyon then a superb Grand Canyon vacation package is the 6-Day Yosemite, Grand Canyon and San Francisco Tour. Your journey begins with the first two nights in Las Vegas where you can visit the Strip or the Fremont Street Experience and you will be treated to a day tour of Grand Canyon National Park as well as Antelope Canyon on the second day. Day 3 has you on the move to Los Angeles with stops along the way at the Ethel M Chocolate Factory, the Botanical Cactus Garden and shopping at the Tanger Outlet Center. On the fourth day you will head along the Pacific Coast Highway to Solvang and stop for the night in Silicon Valley. Day 5 gives you the opportunity to visit San Francisco where you can see Pier 39, U.C. at Berkeley and perhaps Lombard Street. The final day of your excursion takes you through Yosemite National Park and Fresno before your tour concludes in Los Angeles. 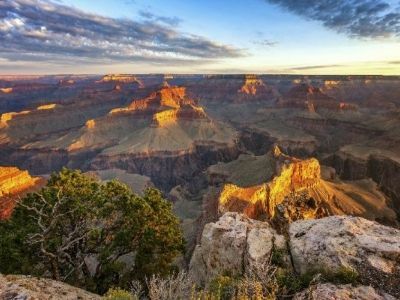 One of the best Grand Canyon vacation packages for travelers looking to experience the stellar national parks of the American Southwest is the 7-Day southwest Highlights National Parks Lodging Tour. Your adventure begins by traveling from Las Vegas to Zion National Park where you will view the incredible sandstone walls and the Emerald Pools before bedding down near the park. 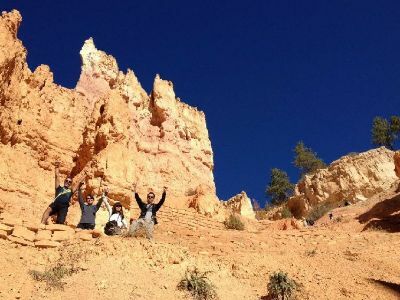 Day 2 has you headed to Bryce Canyon National Park for a day amongst the colorful limestone hoodoos that dot the landscape. 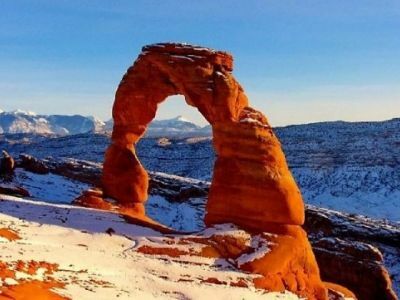 On the third day you will travel from Bryce Canyon National Park to Moab, Utah where you will spend the next two nights while exploring Arches and Canyonlands National Park by the day. Day 5 you travel through picturesque Monument Valley and view the many places that were made famous by motion pictures before you rest your head in Blanding, Utah. On the sixth day you head to the Seventh Natural Wonder of the World, the Grand Canyon. Here you will be given time to experience the park and spend the night. On the last day of this Grand Canyon vacation package you will head back to Las Vegas where you tour concludes via famous Route 66. 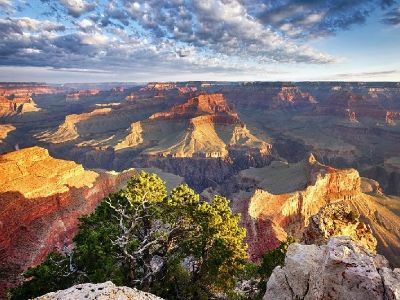 If you are interested in spending the night under the stars while camping in some of the American Southwest’s most stellar places then an ideal Grand Canyon vacation package for you is the 7-Day Southwest USA Highlights National Parks Camping Tour. 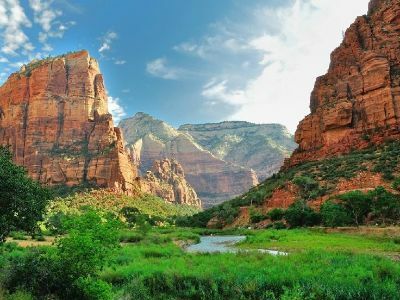 The first day you will depart from Las Vegas to Zion National Park where you can witness the sheer cliffs of sandstone canyons before bedding down for the night in the park. Day 2 you will travel from Zion National Park to view the limestone hoodoos of Bryce Canyon National Park and gaze at a thousand stars when you sleep. On the third day you continue your journey to Arches National Park outside of Moab, Utah. After touring the park you will rest your head for the night. Day 4 you visit Canyonlands National Park where you can see the Islands in the Sky or Needles area of the park before returning to your campground near Moab. On the fifth day you head out to Monument Valley and see the wonderful landscape that is a popular motion picture filming area. When you wake up in Monument Valley on Day 6 you travel to the Grand Canyon for an evening of extreme landscape viewing and multitudes of stars in the sky. Your final day of this excursion will take you from the Grand Canyon to Las Vegas via the famous Route 66 where you can start a new adventure filled with fun and excitement. An added bonus for this Grand Canyon vacation package is all-inclusive meals and camping gear. An ideal Grand Canyon vacation package that includes stops at several stellar national parks of the American Southwest is the 7-Day Grand Circle, New Mexico, Arches, Bryce Canyon, Lake Powell and Las Vegas Tour. Your adventure starts with the first night in Las Vegas where you can spend time wandering the Strip, visiting the casinos or watching an entertaining show in Sin City. Day 2 has you on the road to the South Rim of the Grand Canyon. Here you will explore one of the Seven Natural Wonders of the World before heading to Page, Arizona to rest your head for the night. On the third day you travel to Lake Powell, Antelope Canyon as well as the picturesque Horseshoe Bend of the Colorado River and you will bed down for the night at Bryce Canyon National Park. Day 4 you will drive from Bryce Canyon to Arches National Park with a sleep over in Green River, Utah. 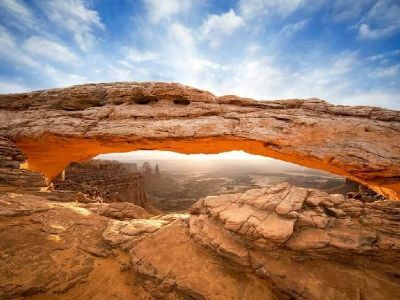 On the fifth day you will view the splendors of Canyonlands National Park and Monument Valley on your way to Flagstaff, Arizona where you will sleep for the evening. Day 6 you continue journey through the Painted Desert, Sedona and Walnut Canyon National Monument before stopping for the night in Las Vegas. The last day of your Grand Canyon vacation package is spent in Las Vegas where you can visit the Mob Museum, Fremont Street Experience as well as one of the may fantastic shows. When you are interested in seeing one of the natural wonders of the world as well as Las Vegas and the coast of California then a great Grand Canyon vacation package for you is the 7-Day Bus Tour Package to Grand Canyon/Antelope Canyon, Los Angeles and San Francisco from Las Vegas. You begin your adventure with two nights in Las Vegas where you will have time to take in a show, visit the Fremont Street Experience and wander the Strip. On the second day you will travel to the South or West Rim of the Grand Canyon and view the incredible natural scenery with side stops at Antelope Canyon, Hoover Dam as well as take photos of the famous Horseshoe Bend of the Colorado River. Day 3 you travel from Las Vegas to Los Angeles via Barstow. 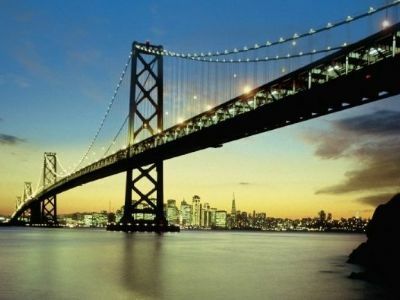 On the fourth day you will head to San Francisco after spending some time in Santa Barbara. Waking up in San Francisco on day 5 you will experience all the sights and sound of the City by the Bay before resting head for the night. Day 6 you take-off to Los Angeles again while making a stop at Yosemite National Park or the Monterey Aquarium before you bed down for the night in the City of Angels. Your final day of your journey is spent exploring something special in Los Angeles which could be Universal Studios, Disneyland, Santa Monica or Hollywood. The 7-Day Classic Wild West: Yellowstone, Salt Lake City, Vegas, Antelope and Grand Canyon Tour is a fantastic Grand Canyon vacation package that will have you experience many of the special places in the American West. Your excursion begins with a quick drive to St. George, Utah where you will spend the first night. On day 2 you will journey to Antelope Canyon before making a stop at Bryce Canyon National Park and heading to Salt Lake City where you will rest your head for the evening. 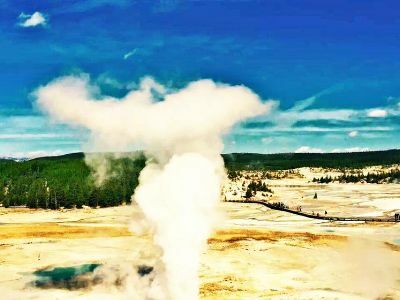 The third day has you traveling to Yellowstone National Park where you will spend the night and explore the geothermal as well as wildlife in the area. Day 4 takes you to Grand Teton National Park before you return to Salt Lake City for the evening. The next day you will tour the sites within Salt Lake City and head to Las Vegas where you will have the night to recharge by walking the Strip, seeing a show or just relaxing. Day 6 you venture to the West Rim of the Grand Canyon to experience the glass bridge known as Skywalk and return to Las Vegas for another evening of fun and adventure in Sin City. On the seventh and final day of this Grand Canyon vacation package you depart Las Vegas to Los Angeles with stops along the way at the Ethel M Chocolate Factory and the Tanger Outlets. An excellent Grand Canyon vacation package that includes time at one of the Seven Natural Wonders of World, Las Vegas and two stellar cities along the California coast is the 8-Day Bus Tour to Grand Canyon, Los Angeles, San Francisco and 17-Mile Scenic Drive from Las Vegas. Your adventure starts in Las Vegas where you will spend two nights while taking a side trip during day 2 to explore the West or South rim of Grand Canyon National Park as well as the Hoover Dam. On the third day you will travel from Las Vegas to Los Angeles where you will have two full days to see several top notch attractions in the City of Angels that include places such as Universal Studios, Hollywood, a day trip to San Diego and Disneyland. Day 6 you depart Los Angeles for San Francisco while stopping to shop at the Outlets at Tejon Ranch on the way. 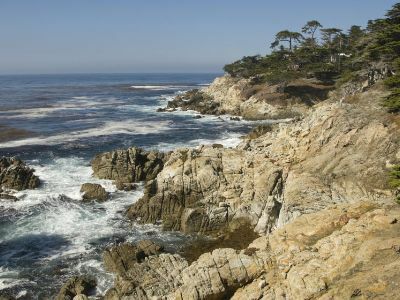 Waking up in San Francisco on day 7 you will take a 17-mile scenic drive along the Pacific Coast Highway on your way to Carmel-by-the Sea and Monterey where you will spend the day before returning to San Francisco to rest your head. Your final day of this Grand Canyon vacation package includes a city tour of San Francisco where you can view sites like Fisherman’s Wharf, Lombard Street and you can even ride a cable car.